← A stitch down memory lane. 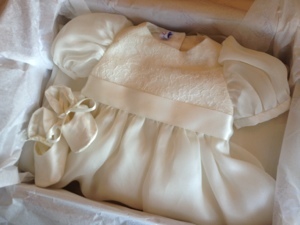 A quick post in the final instalment of Mabel’s Christening to document her gown. Granted I didn’t actually make it, but I put a lot of time & effort into the design (although nowhere near as much as the super talented lady who made it) & wanted to share & get it down for prosterity. 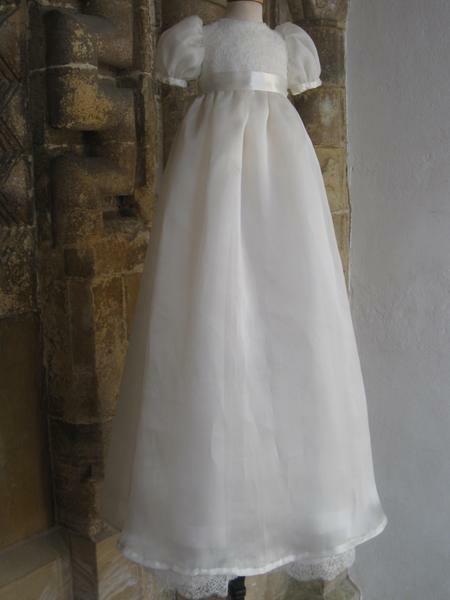 I had always wanted to have my wedding dress made into a christening gown for any children we would be blessed enough to have & had my dress cleaned & stored after the wedding in readiness. 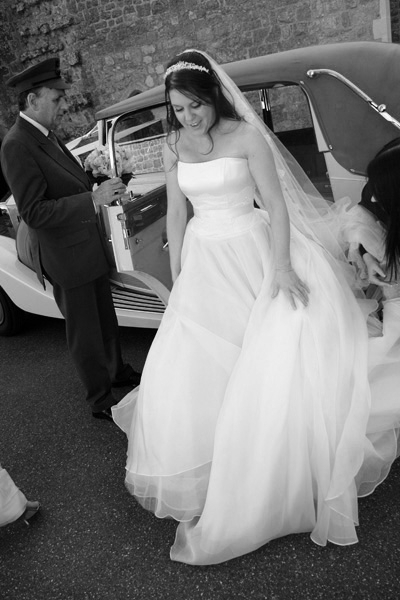 (I can recommend Bridal Alterations in Battersea who did this for me – they also altered my Mum’s outfit & the bridesmaid dresses). There was certainly enough material to work with! 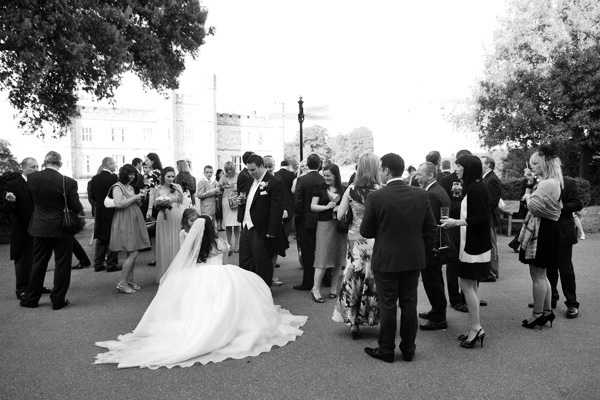 My dress was from Caroline Castigliano, a made-to-measure gown called “Beauty”. I asked the seamstress there to add a few extras as well. The skirt was made from layers of ivory silk organza. 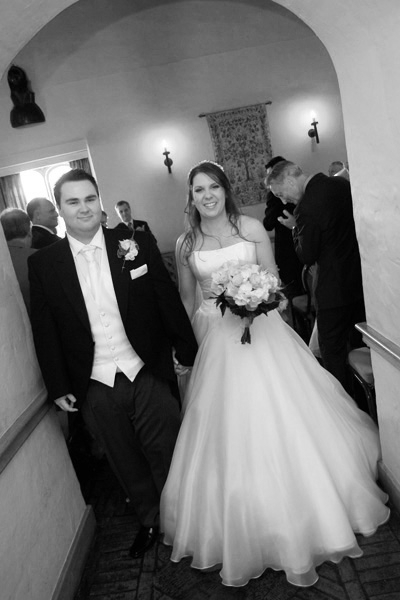 The Duchess satin bodice was decorated with Chantilly lace & hand sewn Swarovski crystals, finished off with a satin sash. My veil was cathedral length & edged with the Chantilly lace on the bodice. 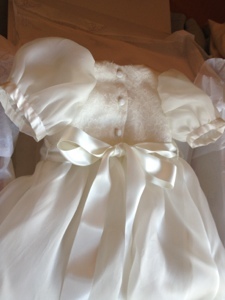 The christening gown was made by the wonderful Linda Patrick of Little Doves. When it came to sending the dress off I had second thoughts as I pulled away the mothballs to reveal the bodice, which I hadn’t seen for nearly four years. But I knew the dress would only continue to stay in its box under my Mum’s bed. Although it broke my heart to cut it up, this way it would get a second outing & would become an heirloom. I would send it away and would be spared the ordeal of having to witness the massacre first hand which also made the decision more bearable. 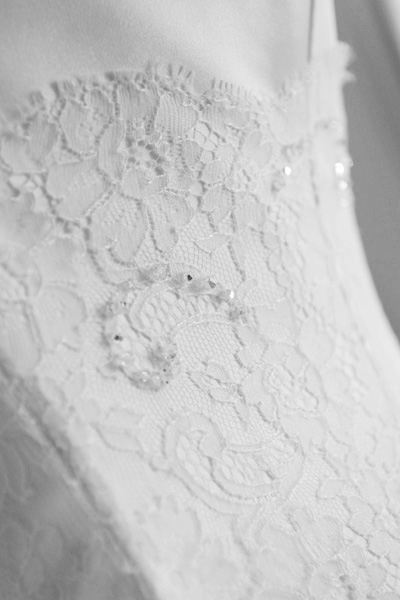 Linda & I agreed we wanted the design to be simple & let the silk organza & lace speak for itself. When Mabel’s gown came back, any doubts as to whether I had made the right decision were immediately erased. She managed to make the skirt out of three layers, one of which was edged in the Chantilly lace. The bodice was made out of the lace also & I loved the puff sleeves & that she managed to incorporate the sash. As Mabel wasn’t toddling about just yet she also made the gown super long to echo mine. The entire gown, apart from the silk pettitcoat, was made from my wedding dress. It was finished off with handmade silk booties (again made from the bodice) & a cashmere shawl knitted with love by my very talented Mama. 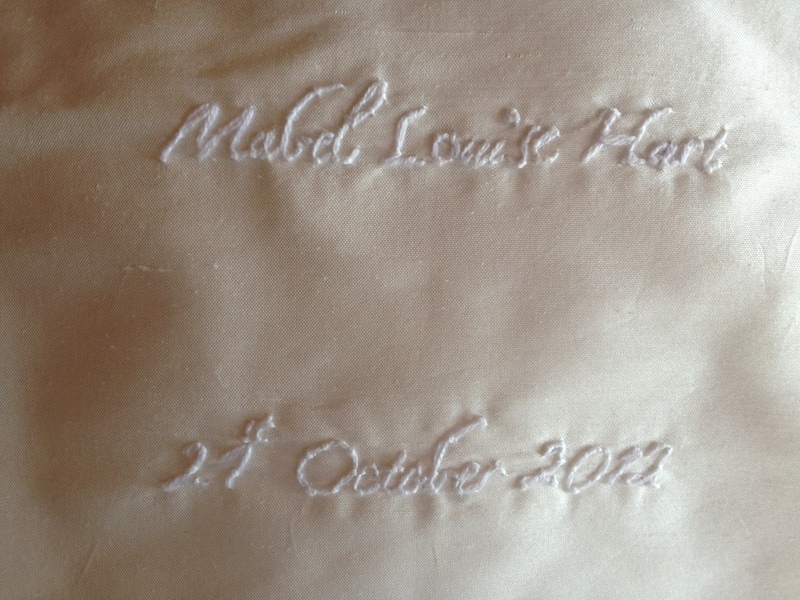 To accessorize, Linda embroidered a silk bib with Mabel’s name & date of the christening on it. Oh to be able to sew this well!! She did originally intend to sew this into the hemline but the silk organza would have torn. 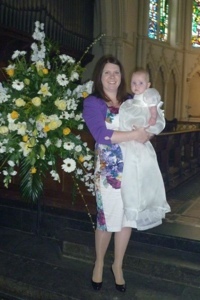 … and here’s sweet lil M on her big day! I remember thinking as I held her in my arms how wonderful it was that the material felt familiar to me. I hope one day she can pass it on again.